Atheneum Books for Young Readers, 9781416997122, 272pp. Before she even hears the words, Kaeldra already knows what she must do. 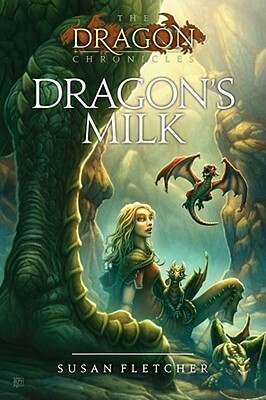 She must search out the mother dragon whose draclings have just hatched and somehow get some of her precious milk. It's the only way to save her foster-sister's life. Kaeldra would rather not go. It's much too terriffying, much too dangerous. But Kaeldra knows that she's the only one who can do it. For she is the only one who can actually communicate with dragons. But little does Kaeldra know what she's getting into. She's about to begin a journey that will entwine her fate with that of three little draclings and one would-be dragonslayer. A journey the will become a struggle for life.